Peter Paid The Cost To Be The "Boss." 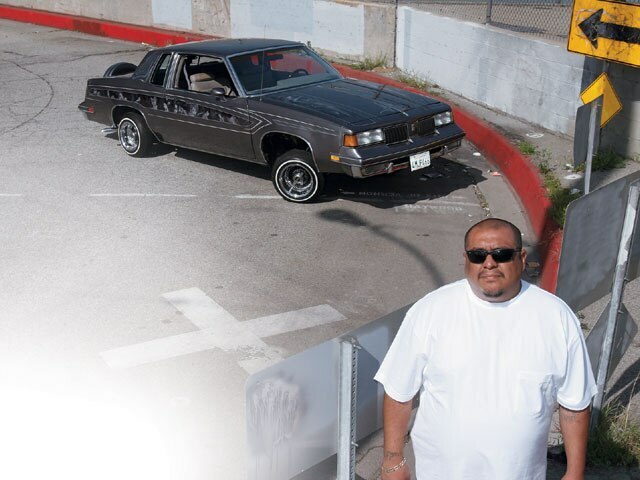 Paying the cost to be the “boss,” Peter Jimenez of Maywood, California, plunked down several thousand dollars over a three-year period to place his ’86 Olds Cutlass, “Patron,” among the sharper rides flying the Majestics C.C. plaque. Peter pays the bills by being a truck driver and he really got this project into gear to deliver the goods in due time. 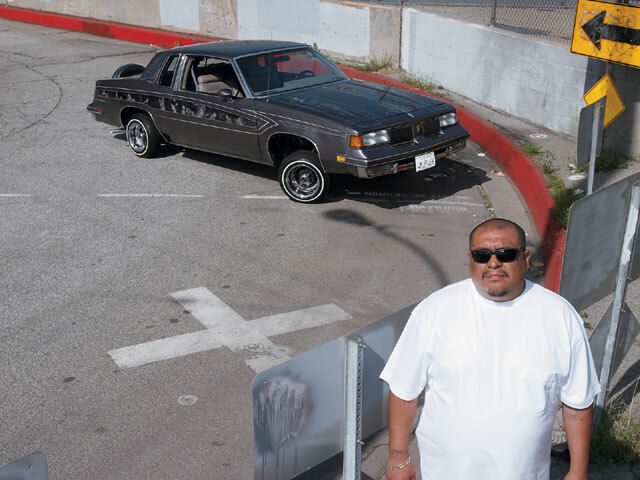 An active member of the Los Angeles chapter of Majestics, Peter thanks “Big Rich” for starting him in lowriding. He also sends special thanks to his wife, his brother and his fellow Majestics members for their help in making this muraled masterpiece one of the club rides that we just couldn’t overlook. So what’s on the horizon for the big guy? Peter tells us that he plans to put together a ’64 Chevy Impala for his next project. 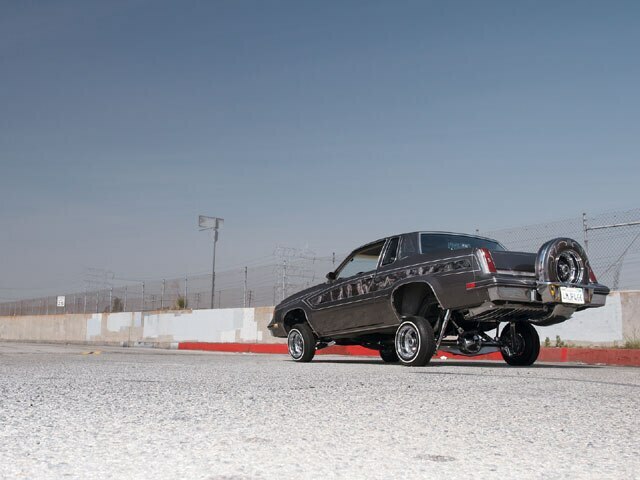 As a member of one of lowriding’s premier car clubs, and given the quality of this custom Cutlass, we’re counting on that six-four to be something special. 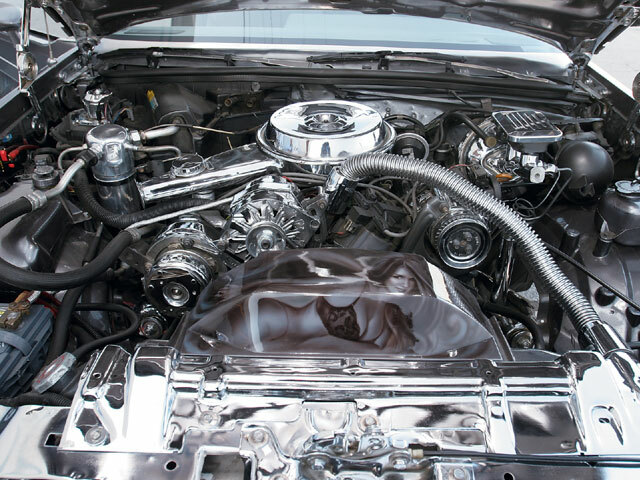 Engine/Drivetrain: The stock 2.6-liter V-6 was dressed up by the owner. 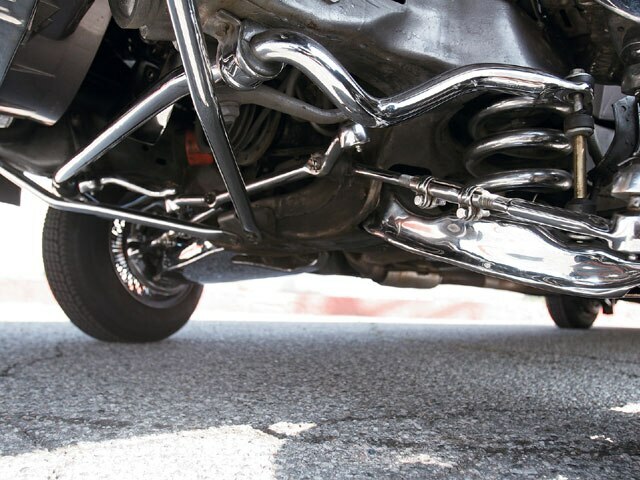 Body/Paint: The PPG gray finish is the work of master painter Valentin of Maywood. 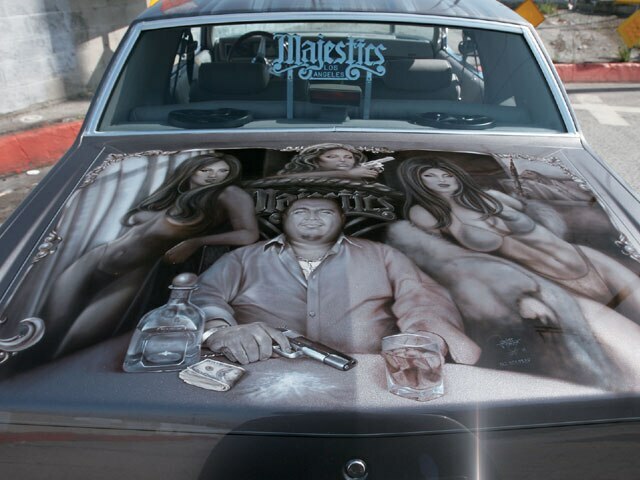 Pro pinstriper Mike Lamberson, newly relocated to Riverside, California, did his thing and Javier Romo brought Peter’s fantasies to life with his many murals featuring luscious ladies. Interior: Inside you’ll find leather and ostrich stretched out by Rivas’ Auto Upholstery in Cudahy, California, as well as a Grant steering wheel and other custom touches. Sound System: The audio gods must have sent down Peter’s friend Angel to install a Kenwood/Hifonics/Kicker system with a flip-down monitor mounted in the dash. 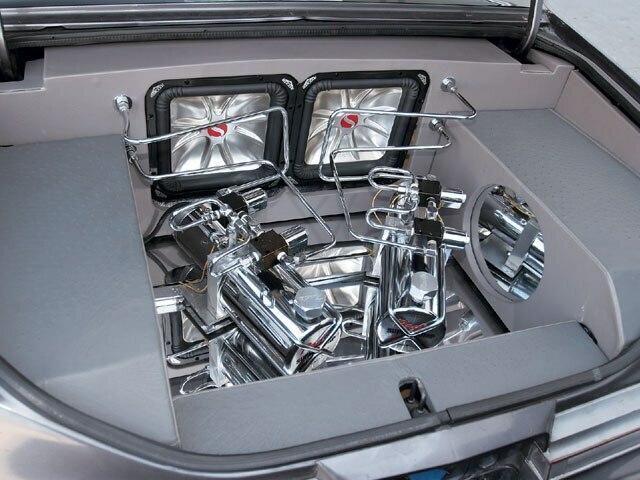 Setup: Sharing valuable trunk space with the Kicker L7 square subwoofers are two chrome Red’s Hydraulics pumps with four dumps. Six batteries are hidden out of sight and eight switches put the front, back and side-to-side moves in Peter’s hands.